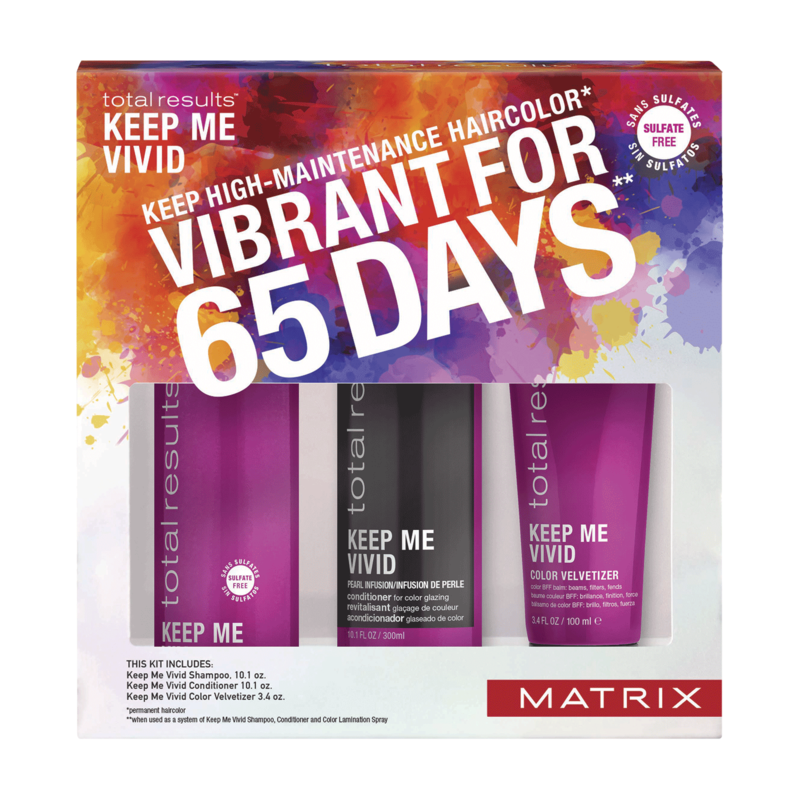 Keep Me Vivid Velvetizer Leave-In. The color care game changer. High-performance formulas ensure fast-fading color creations, like: brunettes, blondes, pastels, reds, coppers, mochas and more, last untilyour client’s next appointment. 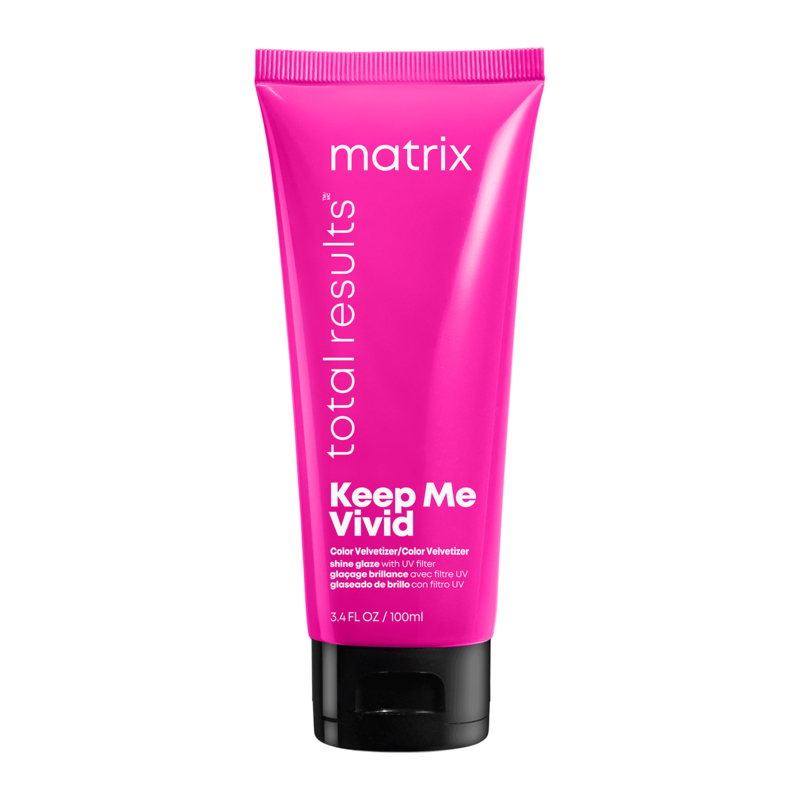 Total Results Keep Me Vivid Shampoo for high-maintenance colors. Total Results Keep Me Vivid Conditioner for Color Glazing. Pearlized formula nourishes high maintenance color.